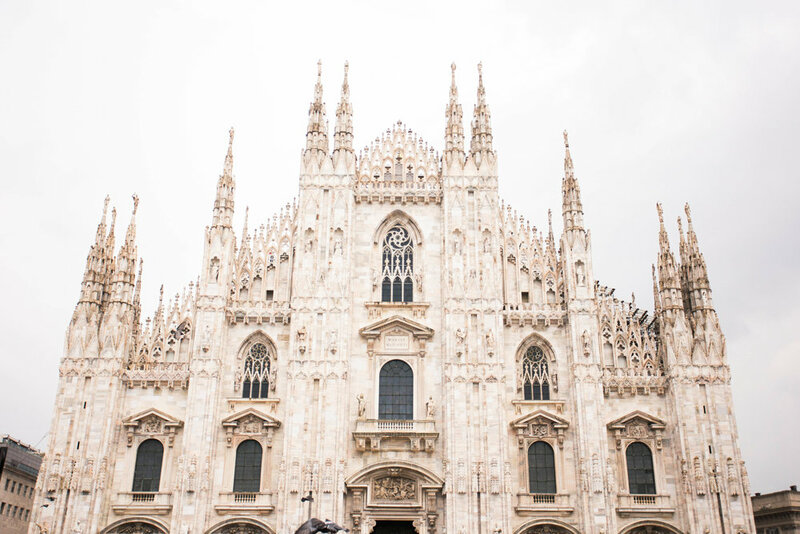 Couldn't not start this post without an image of the Milan Duomo! 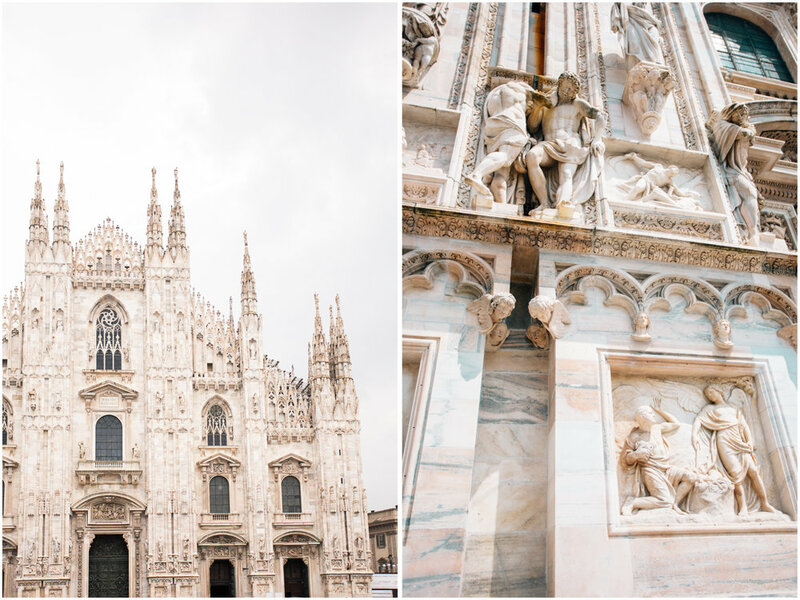 This magnificent gothic style creature took 3 centuries to build and I can see why... the tons of marble with intricate details and the shear size of the thing is awe-inspiring. To top it off, the teary-eyed gray skies on this day were a perfect backdrop to the warm marble. 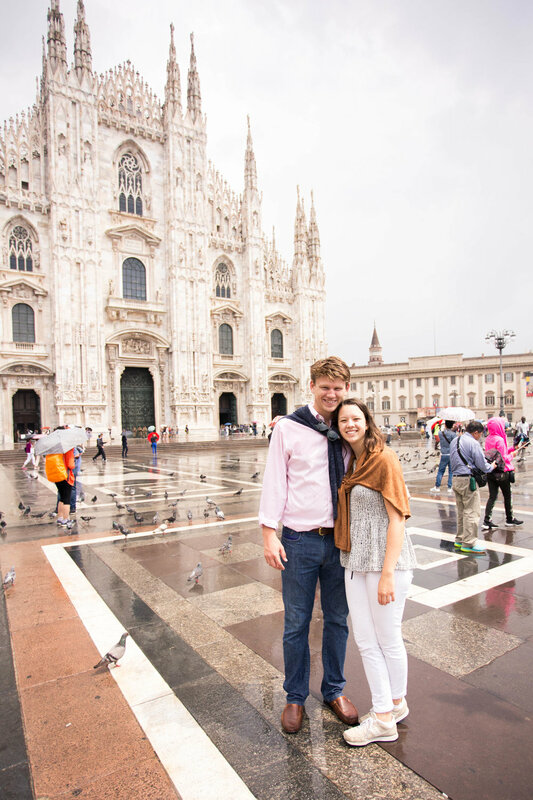 However, our Milan day didn't start at the Duomo. It started with a few sinistre here and destre there down small alleys and busy roads. 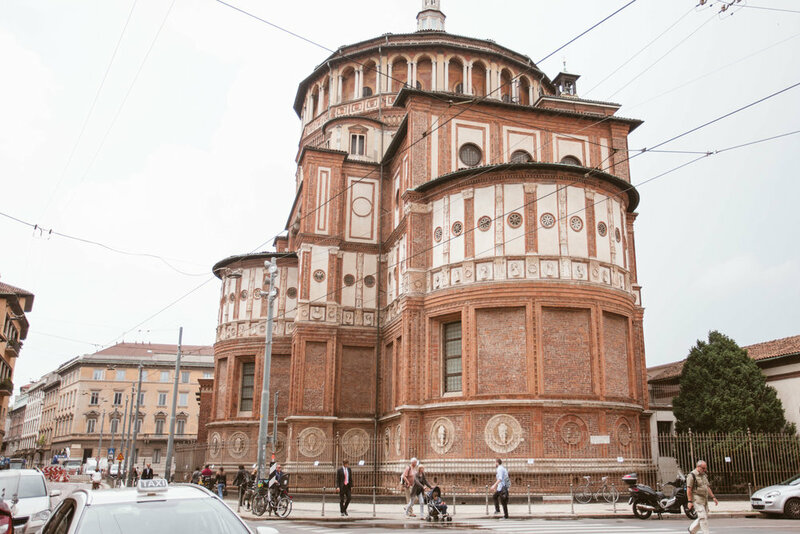 We arrived from the train station at a quaint (for Italy) church where Leonardo di Vinci's masterpiece, "The Last Supper" lives. Grant's mom was the best and booked us tickets months in advance so that we could marvel at his painting... what a gem she is! On our way to the Duomo, we treated ourselves to the most incredible gelato at il Massimo del gelato (and I truly mean this as I've traveled to many cities in Italy and can't compare it to any other place). We window shopped and poked our heads in Taschen Books while it poured outside. Found the Duomo, ate spaghetti on the street and finished the day by accidentally walking in the exit of il Biblioteca Ambrosiana gallery where Caravaggio's beautiful "Basket of Fruit" resides. Full stomachs and tired legs, we hoped on a train to Cinque Terre.